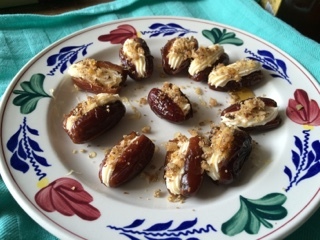 Cream cheese, honey and lemon stuffed dates. 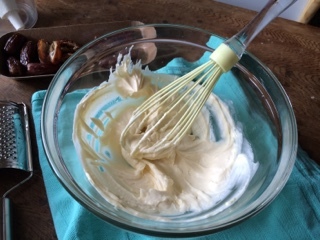 In a small bowl, stir together the cream cheese, honey, lemon juice and zest. 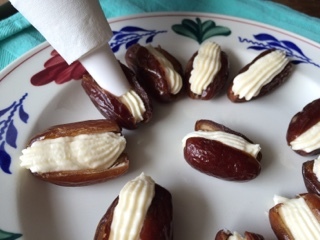 Pipe dates with the cream cheese mixture. 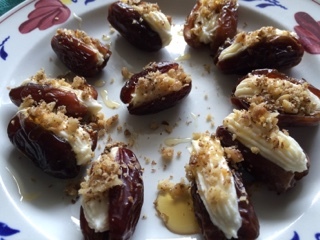 Drizzle with honey and sprinkle with walnuts. Place in the refrigerator before serving.